Oct 14, 2016. A young couple were going out on a date on a remote Island off the coast of ECUSA as part of their honeymoon. Their names were Benjamin Moor and Ashlyn Moor. They owned a '68 Satsuma 1200 Convertible. Ben was driving, and Ashlyn was in the passengers seat. 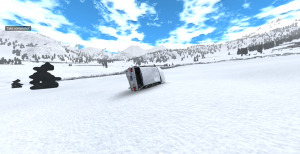 As they got out of their car near the summit of the Island's tallest mountain, A blue Ibishu Kashira 2.5T with 4 children and 2 adults inside slams into the drivers side fender, completely crumpling it in the process. 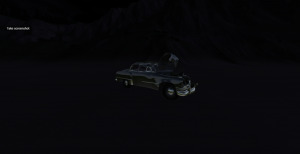 the car was dangling of the edge and if touched would plummet ~35' into A grove of trees, ultimately totaling the car. 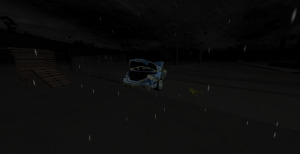 The Kashira (due to the impact geometry) had a small ripple in the fender. no other damage was reported. No airbags were deployed, and no injuries were recorded by either party (as the Moors weren't in their car and the Kashira took the impact so well.) Officials are still working out what to do with the Satsuma, and are leaning towards helicopter transport, as any shift in the car will make it fall. Damages: Satsuma needs new fender, bumper, hood, and suspension rack. Kashira needs a fender. No court case followed, but the Cranmers (Kashira family) took full responsibility and are 100% liable for all damages and repairs. Here's a small series of crashes in Garfield Heights. September 2, 2009. 53 year old Timothy Crest was heading to his 2nd stop on his route. He had just picked up 14 year old Johnny Sanders and 12 year old Wendy Steele. On the expressway, 31 year old Joel Ashworth was out joy riding after getting severely intoxicated at a party. Timothy was about 2 blocks away when Joel came speeding down the expressway. Joel WAS gonna go flying into a small park, but the bus blocked him. Joel hit the bus at 35-50 mph. Thankfully, Wendy and Johnny weren't sitting near the impact zone. Injuries: Wendy, Johnny, and Timothy weren't injured, they were shaken up but that's about it. Joel cracked his head on the windshield and had broken both of his wrists. He also had a broken ankle, leg, arm, and 2 ribs. 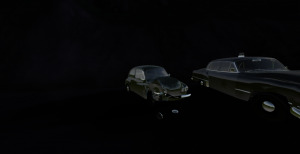 Cars used: A Dansworth D1500 and an Ibishu Covet. Aftermath: Joel was arrested for reckless driving and DUI. 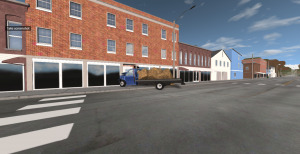 Another bus was sent to finish Timothy's route. Wendy's mother sued Joel for $5,540 and won. Although the accident wasn't Timothy's fault, he later retired a couple weeks later after driving a bus for over 30 years. May 6, 2012. After a long day of off-roading and having fun at a lake, 27 year old Charles Gladwin was heading home. He was exhausted and almost crashed 3 different times on the highway. As he was about to turn left onto his street, he dozed off. This was a mistake. He managed to get up to 32 mph before hitting a hill and flying onto the street below. 41 year old truck driver Emily Sanders witnessed the accident and pulled over to help. She dialed 911 after getting Charles out of the truck. Injures: Charles had a broken wrist and ankle. He also had a minor concussion. 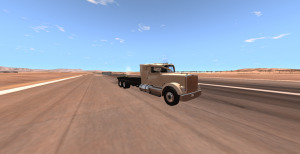 Cars used: A Gavril D and a Gavril T.
Aftermath: Charles recovered within a month and later recycled his truck, bought a new one, and pimped it up with the parts he could salvage from his old one. Emily helped him with his medical bills. The two are now good friends. April 21, 2017. 19 year old Tod Pickings just got a shiny new ETK and decided to go show it off. How? By speeding down residential streets blasting music. A few blocks away, 34 year old Linda Glass, 40 year old Lydia Samuels, and 37 year old Norman Huff, part of the News team "ABC 72" were heading to a accident in downtown. In the opposite direction, Kylee Harmon was heading home to here kids after buying groceries. All 3 met at the same intersection. Tod didn't even try to brake, in fact, he sped up. 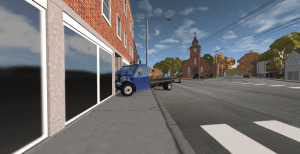 He slammed into the back of the News van, spinning it 180 degrees. Kylee hit the back of the van, spinning it another 180 degrees. Tod try driving away but his car said no. Injuries: Tod had some injuries to his knees, ankles, wrists, and arms. Linda, Norman, and Lydia had some slight injuries aswell. Linda has a concussion. Kylee was shaken up and had a minor concussion, but that's it. 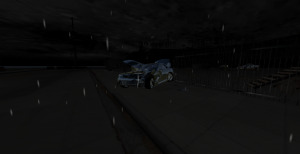 Cars used: ETK 800 Convertible, ETK K, and a Gavril H.
Aftermath: Tod blamed the accident on Norman, the driver of the van. He said that "he was going too fast". He was sued by ABC 72 and Kylee. He was also charged for reckless driving. I have no idea what year this crash occurred. If you can figure it out, tell me. From a newspaper clipping dated Friday, August 28. Found in an abandoned house along with a few pics. The house was in bad shape, so I assume these are pretty old. 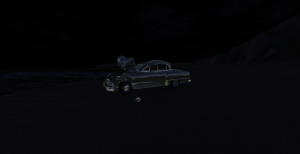 A 1979 Olds Full Size sedan crossed the center line and hit a 1978 Gavril dump truck. The driver of the Olds, John Duttonsheiser, 41, was killed on impact. The Gavril's driver, Dean Jingleheimer Smith, 27, suffered minor injuries and was discharged from the hospital today. On the other side of the clipping, in an unrelated article, it said "Prime Minister of Japan, Zenko Suzuki"
That's a 1980 model actually, because 79 models were a little bit longer and trhe door handles aren't the same. May 21, 2017. 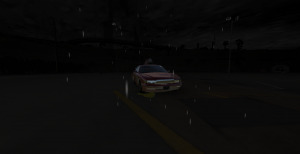 Officer Brady Mitch was responding to an Assault on Baker Street, he had his lights and sirens on. About a mile away, a group of cars were waiting for a light to change. Tyler Collin was showing of his derpy prized possession; a Covet painted to look like a Pizza. Next to him was Chloe Regan and her boyfriend Darrel Rosy, who were heading to a gas station to get fuel. Across from them was Taxi driver Michael Queen who was transporting Bonnie Alec. Next to them was Jeanna Marty. who was heading to her mother's house to help her with plants. Block away from the intersection was bus driver Andy Joy, who was heading to his fifth stop on his route. He had 5 passengers onboard. He had a history of having seizures, but he had never had one while driving, until today. As Officer Brady approached the intersection, Andy started having one of his seizures. He rear ended Chloe and Darrel, launching them in front of Brady. Brady slammed into them. Andy then rolled into a pole, launching 2 of the passengers. Brady called for emergency services. Everyone else at the intersection pulled over and checked up on Brady, Chloe, Darrel, Andy, and the passengers. Injuries: Brady has minor injuries to his wrists, right arm and right leg. Chloe and Darrel has moderate injuries to the neck, arms, wrists, and back. Andy has moderate injuries to his arms, wrists, legs, and head. 2 of the passengers has minor head and neck injuries, while another one had a minor concussion. 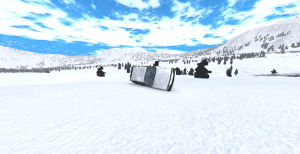 The rest of the passengers were uninjured. 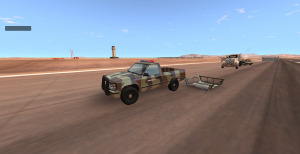 Cars used: A Gavril Grand Marshal, an Ibishu Pessima, and a DT40L. Aftermath: When the drivers went to check up on Andy, he was unconscious. He was sent to hospital immediately. He wasn't charged with anything but still decided to help pay for damages. Brad, Darrel, and Chloe all recovered within a month or two. May 2, 2011. Duke Carla was heading to pick up his kid from daycare. In front of him, Cece dove was out for an afternoon drive. She noticed a car up ahead had pulled over after sliding into a shrub. 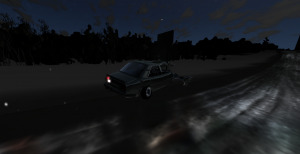 Cece started to slow down to help the driver. She had her signal on and slowed down to a good speed, but Duke wasn't paying attention. He was looking at his GPS after it had a minor audio malfunction. He tried stopping but still slid into her bumper. Cece and Duke agreed to pull over into a less populated area. A mile later, they both pulled over and talked. Injuries: Cece had no injuries. Duke sprained his wrist. 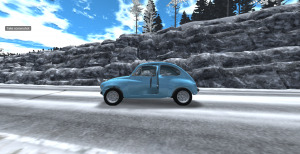 Cars used: A Gavril Roamer and a Hirochi Sunburst. Aftermath: Duke payed for damages. No lawsuits or charges were filed. 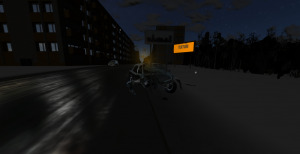 Made this accident with the Traffic Tool btw. Alaska is suffering one of the Worst Snowstorms in its history and there's little to nothing to do for the residents when a family is being attacked by two men armed with axes. Officer Leroy Kraft, 23 is responding to the call. He served three years so far and never got a call like this. its very foggy so its hard to see whats in front of you. meanwhile three friends are trying out their new Raven R60 .The Driver Doris Golden ,17, the rear David Martinez, 16 and front passenger Margaret Reeder, 19. They decide to stop until the fog clears a little before they start driving. They are surprised to see lights in the distance . David starts panicking as he has cocaine in his pocket and hides from site. 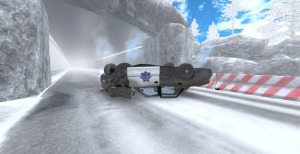 Officer Kraft loses control, slips to R60 and crashes into one side of the tunnel at high speeds. Officer Polito and Benson died in the crash , Sergeant Tsukamoto died at the scene. Bus driver Jones had minor injuries from the crash. Officer Rosenblum survived the shooting but died from complications from her injuries in 2002 and Officer Rosenblum survived with serious wounds. 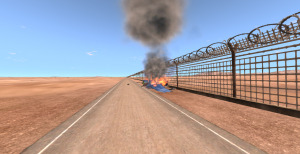 all inmates and suspects were unharmed. Aftermath: The 21 other Inmates were sent to the Penitentiary by another bus hours later. 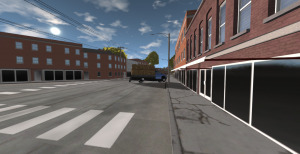 Meeman and Tilton were found with the Suspects 3 months later and had a shootout causing two officers dead and one officer injured and one of the suspects dead. 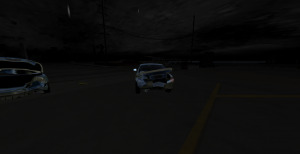 Crash Description: Brandon was driving to the local tourist center. 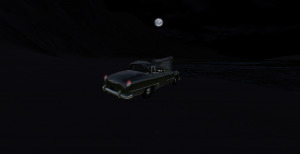 He had been driving for a few hours in his rental ETK and soon fell asleep at the wheel with his foot on the gas pedal. 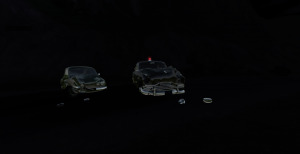 The car rolled down a cliff and hit multiple rocks before stopping between two cliffs, where an off-roader noticed him. Parts of car critically damaged: Most of the damage occurred on the left side. A wheel fell off. Injuries: Brandon was killed when the car hit a rock upside down. April 7, 2018. Vehicle enthusiasts across Garfield Heights got together and managed to get a street blocked off for a car show. All sorts of vehicles were participating from all decades, from the 60s to now. Kyla Hudnall showed up to the show with here pimped out Mazda Rx an hour after it begun. Across town, her ex, Al Chadwick, was doing his bus route through some neighborhoods and dense strip malls. He asked Kyla to invite him, but she didn't let him come. He wanted to somehow get revenge. How did he do that? He drove his bus directly to the show with 10 passengers on board, including 14 year old Clay Tanner. Instead of doing the normal petty thing, getting out and confronting her, he instead blasted through the barrier and smashed into not only Kyla's Mazda, but also several different cars. AND PEOPLE. He then proceeded to drag a car all the way to a nearby intersection. Officer Laney Yap saw the car stuck on the front of the bus and tried stopping him. 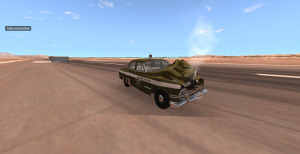 Al smashed the ETK against Laney's compact police car. The bus pushed both cars out of the way. But wait, there's more. Al did not stop the bus after the second crash and tried escaping Laney, who manged to get his car unstuck. Al wasn't paying any attention and hit the back of a tow truck. 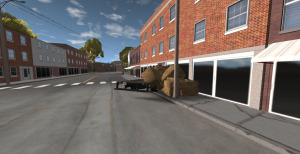 The ramp of the truck invited itself inside of Al, severing his legs. Police, Firefighters, and Paramedics were on scene in less than ten minutes. Injuries: Several of the show-goers were injured by tires, bumpers, glass, and flying vehicles. Kyla escaped unscathed. Laney had minor bruising and a moderate concussion. Al fuggin dead lmao. Cars used: Hoooooo.....it's a long list. A Wentward DT40L, a Gavril T, a Hirochi Sunburst, a Mazda RX-7, a Gavril Bandit, an ETK K, a Hirochi SBR4, and an Ibishu 200BX. Aftermath: All of the vehicles were totaled. Besides the T Series. Police investigated the moral and figured it was due to a recent breakup after Kyla caught Al cheating. Al also had a history of abusing Kyla. Everyone recovered after the incident. Besides Al. Crash Description: August 23rd, 2011. 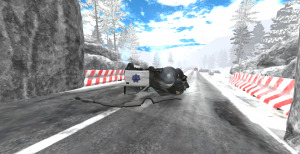 17-year-old Ashley White was driving down the Utah highway in her Ibishu Pessima when she received a text message from her friend. Of course, she picked up her phone and checked the message, then started typing a response. While she was looking down at her phone, though, her car kept going straight into oncoming traffic, where 24-year-old Christopher O'neill was driving in his Duhen Sunstrip. 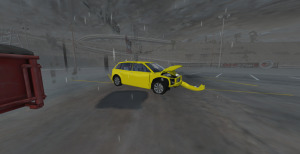 Ashley's Pessima collided head-on with Christopher's Sunstrip, stopping the Sunstrip in its tracks and causing 34-year-old Roy Parr, driving an Ibishu Hopper, to crash into both cars and then flip. Injuries (If Any): Christopher died on impact, Paul had spinal injuries and a broken leg, and Ashley was on life support for 16 hours before being disconnected. Aftermath (lawsuit etc): Laws on texting were enforced strongly after the accident. The Festival started with the bales but relocated down the street from the Ice Cream Parlor. Joe recovered three months later. But Ashley,Harry and Ashley Herman took long to recover spanning to 14 months. Courtney was later caught two days later trying to steal some cash from a tip bowl from a Starbucks. July 4, 2002. Interstate 101 is one of the busiest in Belasco, often being congested during events or rush hour. When it's an event like a July 4th party, its gets even worse. What's worse than being caught in traffic at 9:30 P.M.? Breaking down in the carpool lane. Alejandro Hepburn was on his way to a family gathering to celebrate 4th of July when a loud crack came from his engine, and he slowly started slowing down. There were too many fast moving vehicles in the other 3 right lanes, so he pulled over onto the car pool lane. Arnie Belmont and 2 of his friends, Angel Foster and Gordon Botright were heading to the beach to join some of his other friends. 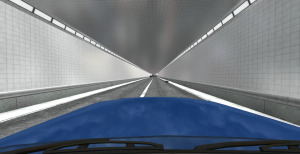 At the time, Aj had turned off his light and engine, only leaving his hazards on. Arnie did not notice the vehicle until it was 15 feet in front of him. Aj managed to dodge the 200BX. As Arnie and his friends were getting out, Zoe Gray and Roxanna Abramson tried stopping, but lost control. She rear ended the 200 and swerved into the lane next to them. This caused Daniel Munoz to also lose control, side swipe Zoe and Roxanna and safely move onto an on ramp. Oswald Read also moved into the on ramp after almost colliding with Zoe. Joan Kidd, a cab driver was heading the same direction when she lost control, but safely maneuvered around them, only clipping Aj's car. Behind Joan, Javier Green was heading back to a factory after delivering some TastiCola. He bumped Joan's cab, and hit Roxanna as she was heading to the median. Shaun Crouch and his wife Trista Vega were heading to a party on the coast when they encountered the accident. Shaun rear ended Zoe's van and then rear ended Javier's truck. A few minutes after Shaun wrecked, emergency services blocked off the highway, causing a massive jam. Injuries: Aj had minor cuts after glass hit him. Arnie had a concussion, but Angel and Gordon had minor bruising to the knees. Zoe had minor injuries to her left wrist and right leg, while Roxanna had a broken left leg and a fractured right kneecap. She also had a few cracked ribs and a fractured left arm. Daniel was dazed and had a cut on his left leg. Joan had a bruised thigh. Javier had no injuries. Shaun had a fractured right leg and a bruised left leg and Trista had a bruised left leg and a broken right wrist. 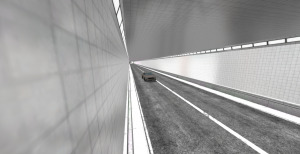 Cars used: An ETK W, an Ibishu 200BX, an Ibishu Kashira, an Ibishu Pessima, a Gavril D, a Gavril Grand Marshal, and a Gavril H.
Aftermath: Aj was fined $3,200. Everyone recovered. Aj also decided to pay for Roxanna's funeral. It's New Years Day,2016 and everyone is celebrating with Firework display hosted by the City and partying. and Kona61, is too drunk to drive home so his friends order a Taxi to drive him back him back home. Belasco Taxi Driver Richard Smith,19 picks up Kona61 from his friends apartment and goes driving to Kona61's House. They enter the port area as a shortcut to enter the freeway since that area wasn't as busy since the main entrance to the highway was a huge jam. While Richard was turning, A drunk driver,Harvey Kingsley,22 driving a ETK K Series rear ends the Taxi, Also in the ETK was Harvey's girlfriend Karen Villatoro, 19 who was high on Amphetamine. The ETK K Series then crashes into a fence. . Maria Murray,35 witnessed the crash and stops in her Hirochi Sunburst and steps out to help. 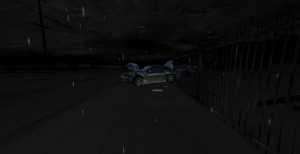 She stopped in the middle of the intersection and that was when a speedingRaven R60 driven by NewoFox and his girlfriend Amy Atteberry,24 crashes in her Sunburst,Strikes Her and Crashes into the K Series. Niki and Pete died on impact while Steven died two hours later while waiting for an ambulance. Officer Smith had non injuries and Arthur went into a coma after smashing his head into the windshield since he wasn't wearing a seatbelt and woke up two weeks later.